A graduate of the University of Texas School of Law, Michael J. 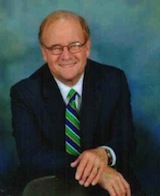 Brown moved his practice from Houston to west Texas in 1992, having served as an Assistant United States Attorney for the Southern District of Texas for twelve years. Prior to this time he was an assistant District Attorney in the felony division of the Harris County District Attorney's Office. A former FBI agent, he spent five years in private law practice doing criminal defense before relocating to his native West Texas. During his career as an Assistant U.S. Attorney and Assistant District Attorney he handled all kinds of state and Federal criminal cases, from Murder to Skyjacking, as well as Federal Income Tax Evasion, Conspiracy, and Money Laundering, as well as Drug cases of every possible description. He also served as a trial attorney for the U.S. Department of Justice, Fraud Section. His practice now consists of Criminal Defense throughout a vast area of West Texas. He handles cases in Midland, Odessa, Lubbock, Amarillo, Abilene, and San Angelo, as well as the sprawling Big Bend area of far West Texas which includes the towns of Fort Stockton, Alpine, Marfa, Ozona, and Sonora. He has handled a variety of post-conviction cases as well, including appeals of criminal convictions and State and Federal Writs of Habeas Corpus. He has argued cases before the Fifth U.S. Circuit Court of Appeals in New Orleans, as well as before state appellate courts. His prior experience as a Federal prosecutor and FBI agent uniquely qualifies him to tackle difficult and complex cases in Federal and State Court throughout the state of Texas and elsewhere. In fact, he is admitted to practice in Federal Court in the Northern, Southern, Eastern and Western Districts of Texas, as well as the Northern District of Florida. He is Board Certified in Criminal Law by the Texas Board of Legal Specialization, and is a member of the College of the State Bar of Texas.